How do I copy a Dashboard? 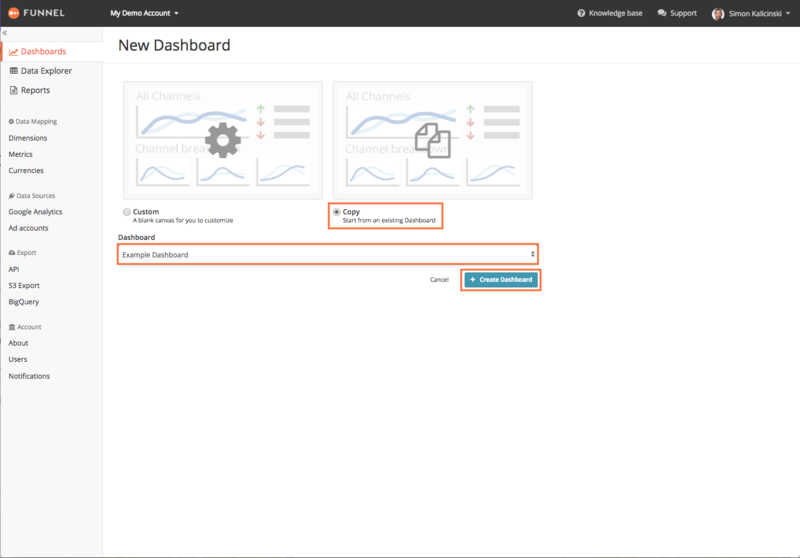 A handy way of having a template to work with when starting a new Dashboard, is the possibility of duplicating an existing one. Start by going to your Dashboards tab in the left side menu. When you have selected the correct dashboard, just choose Create Dashboard and start modifying your duplicated Dashboard. If the dashboard you are copying is from another account and contains custom dimensions, this may also be a good time to copy your custom dimensions.